An interactive/collaborative project sponsored by Prince Claus Funds in Amsterdam, instigated and created by Bita Fayyazi. I was one of the contributing artists. 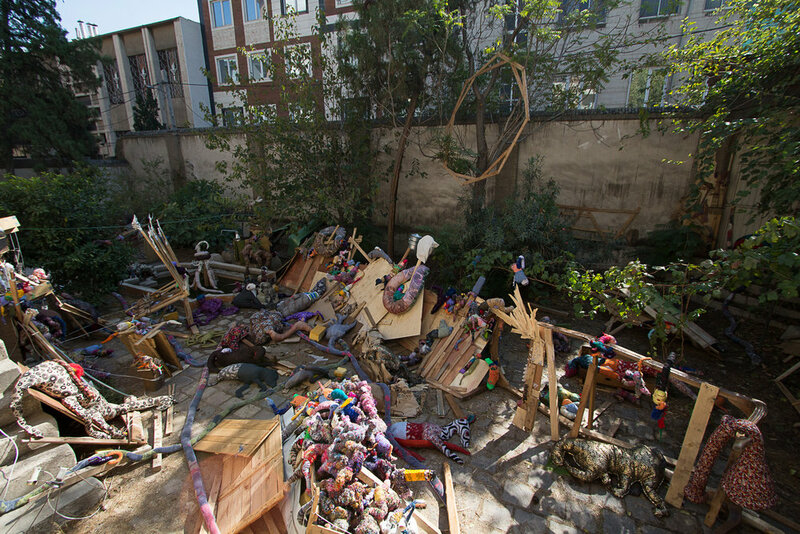 Dream Catcher was executed within a period of 5 months started from March 2014 in collaboration with other artists, non artistically inclined participators, thinkers, writers, critiques and anyone from any walks of life who visited the venue in a big abandoned house in centre of Tehran. The theme of this project was a contemporary narrative of “Noah’s Ark” and the proposed promised land alluding the complications of Illegal immigration by sea and in general the search for the Utopia either by choice or as a result of social and political upheavals.